If you didn’t know better, you’d swear that The Golf Club at Wescott Plantation was a private club. Look around the property as you drive in – nothing is out of place. The southern plantation-style clubhouse with its wrap-around verandah is always immaculate. The pro shop stocks all the latest equipment and apparel from such names as Titleist, Under Armour and FootJoy and the Wescott Bar and grill offers up some exceptional menu items in a town noted for its culinary prowess; dishes you would expect to find at a private facility. The truth is that this Michael Hurdzan-designed facility is owned by the City of North Charleston and has been amazing golfers with its impeccable charm since 2001. The Golf Club at Wescott Plantation is in the heart of South Carolina’s Lowcountry and literally within minutes of the Charleston International Airport. It is the area’s largest daily-fee golf facility The layout features 27 holes – three nines as different as night and day (and night) – that can be combines into three unique 18-hole courses, all of which can be played at over 7.100 yards. Each of the nines – Black Robin, Burn Kill and Oak Forest – all derive their names from the history of the plantation that was once located on the site. Although each track has a character of its own, the holes share one thing in common – they are all tree lined! That can spell trouble off the tee if you’re prone to hooking or slicing your shot, however the Burn Kill and Oak Forest layouts have ample landing areas off the tees. Black Robin – not so much; it’s pretty tight all the way around. Another nice thing about the trees is that create a sense of isolation, but in a good way. You can concentrate more on golf. You won’t find much in the way of elevation changes out here, most of the holes use the natural contouring of the land, and I doubt not a lot of dirt was moved to create the course. What you will find is variety, – no two holes are alike – and a challenge in the form of other elements – some natural, some man-made. Streams, ponds and wetlands can come into play unexpectedly as do many of the bunkers. Practice Facilities: The Golf Club at Wescott Plantation has everything you need to either warm up before your round or make long-term improvements to your game. The full-length driving range features both grass and artificial tees as well as a variety or pin locations at different yardages so you can fine-tune your iron game. The short game area includes a large sand bunker and putting green with chipping area. 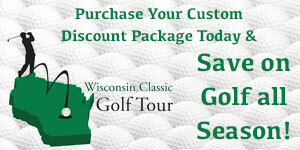 If you’re serious about working on your game, check out Wescott’s unlimited range pass membership. The Oak Forest Course takes its name from the original plantation and has the widest fairways of the three courses. It also is home to the course’s signature hole, the par 3, 8th. This par-3 hole can be a tough hole to par. It plays anywhere from 115 – 200 yards and features water down the left side all the way to the green and strategically placed bunkers. Hitting a poor tee shot is not an option if you are going to score well. The previous hole, the par 5, number 7 is also a memorable hole and requires to perfectly struck shots if you want to get home in two to the elevated green. There are several memorable holes on this circuit. Black Robin is the tightest of the three nines and to complicate matters, it has the smallest greens making it the most challenging of the three nines. Part of the reason it plays so tough lies in the fact that it’s easy to card a high number on just about any hole. Trees and lush vegetation frame each hole and none require more accuracy then the par 4, 2nd hole. However, its short length offers a couple of options. Long ball hitters can choose to go over the trees in hopes of finding the green. Most players will choose a saner route – a well-placed tee shot over water on the right side that avoids the three pot bunkers that dot the landing area. Hard to believe this is the saner approach. Successful navigation of your tee shot will lead to a short pitch shot to an elevated green. Burn Kill strikes a happy medium between the other two nines. It has a couple of forced carries over water off the tee, but many of the holes offer generous landing areas. The par 5 4th hole would not be one of them. It’s very narrow off the tee and requires an accurate shot to set up a good layup opportunity. From the back tees, you must also navigate across a lake. Bunkers dot the fairway in the landing area of your approach shot, so make sure you know the yardage to the bunker in the middle of the fairway. A lone bunker guards the front left of the green and comes into play quickly with a pin placement on the left side. Wescott Bar & Grill is a full-service restaurant located in the clubhouse at Wescott Golf Club and offers delicious menus for breakfast on the weekends, daily lunch specials, a bar fare menu as well as dinners for special events. Their culinary staff expert kitchen team creates delectable dishes with a Southern flair using fresh and locally grown ingredients, all at unbeatable prices. For breakfast, there’s the Hand-battered Cinnamon French Toast, pure heaven in every bite. At lunch, try the Wescott Club, guaranteed to satisfy the biggest of appetites. Or how about Wescott’s Signature Flounder Fish Fry, another entrée that won’t leave you hungry. There’s also a full liquor bar with several domestic beers on tap, just to quench your thirst. Happy Hour is Mon-Fri from 4-7pm and there are nightly happening, such as Team Trivia Nights on Thursdays. Another thing that amazed me about this course was the consistency of all 27 greens. These TifEagle beauties rolled true and they were fast, but not stupid fast that it wasn’t enjoyable. And from what I am told, they remain in this condition all year long. Their soft contouring keeps things interesting; speed is very important if you want to sink a lot of putts. 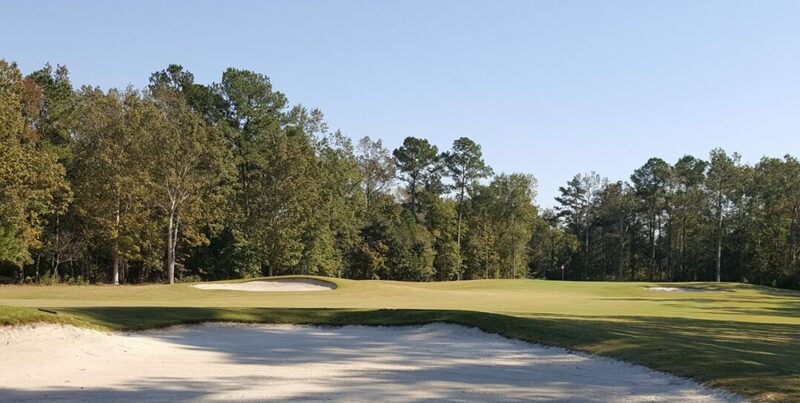 The Golf Club at Wescott Plantation is sure to test both your shot selection and your shot making skills; you need to think your way around the course if you want to succeed. Excellent conditions, a great location and an award-winning staff makes this course a must play in the Charleston area. It’s especially convenient for visitors looking to get in a quick round near their airport hotel before flying back to whence they came. It’s also quickly becoming a favorite among local golfers, another indictor as to how good this course is becoming. You can play this course again and again and it never plays the same way twice. 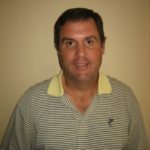 You can reach The Golf Club at Wescott Plantation by phone at (843) 871-2135 or visit them online at www.wescottgolf.com.